A new update to Gimp 2.8, Opensource Photoshop alternative graphics programme, is released . 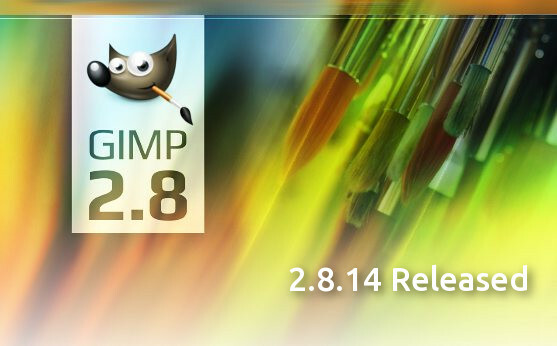 The version Gimp 2.8.14 includes lot of bug fixes and some new features to the line. The Gimp 2.8 series was released in 2012 with lot of exciting features like single window mode, improved text editor, layer groups etc.. the new minor version brings lot of bug fixes and some improvements. Documentation, help and translation updates are also included in gimp 2.8.14. A complete change log is available on the the GNOME Git notes. There is an immediate version of gimp 2.8.14 after gimp 2.8.12 released due to the broken library versioning. In 2.8.14 the libtool versioning is updated. Gimp 2.10 release (The next major overhull to the gimp programme) will bring a complete port to GEGEL, higher bit depts (16bit, 32 bit), support layer masks on layer groups, new warp tool, seamless cloning, unified transform tool etc. The date of Gimp 2.10 is not available now but the progress is available on the gimp development builds. If you want to try the dev build of Gimp on UBuntu you can add the PPA of the gimp development build and try it. The development builds are beta software and not recommended for production use. The source of Gimp 2.8.14 is available on gimp.org or can be downloaded via official torrent. After installation you can proceed to open GIMP 2.8.14 from the Unity Dash or the DE you are using.